No. 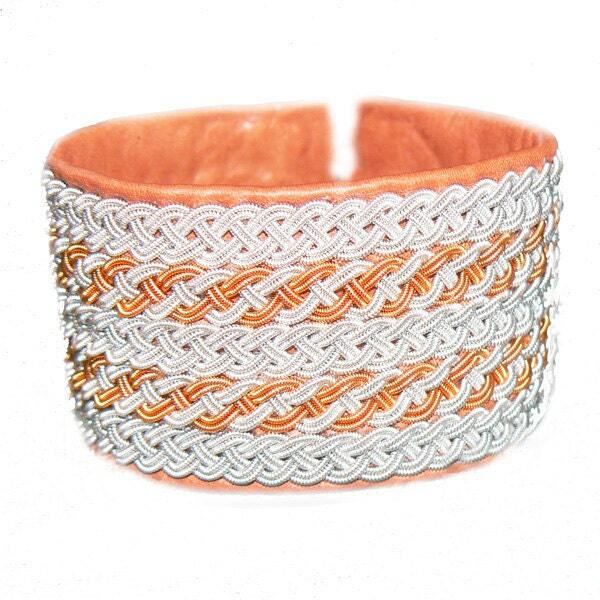 1057: Sami Bracelet of pewter thread, copper thread and reindeer leather. Color in pictures 1) black 2) black 3) cognac brown. 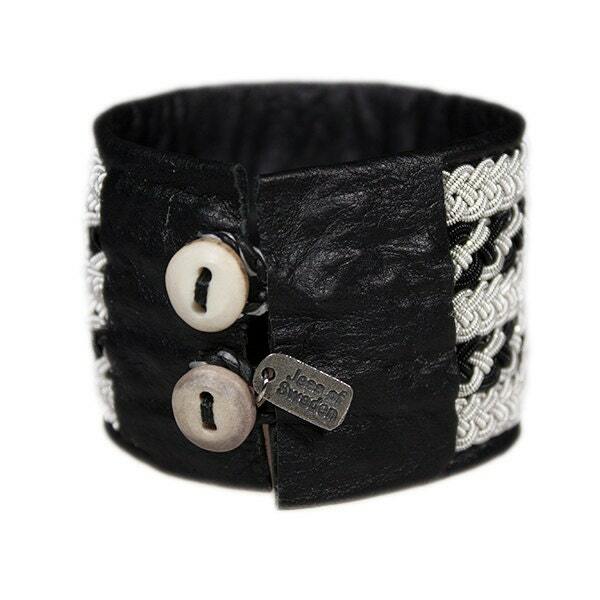 The bracelet is made of spun pewter thread, colored copper thread, reindeer leather or lamb leather, and a button made from reindeer antler. The pewter thread contains 4% silver and is nickel-free. 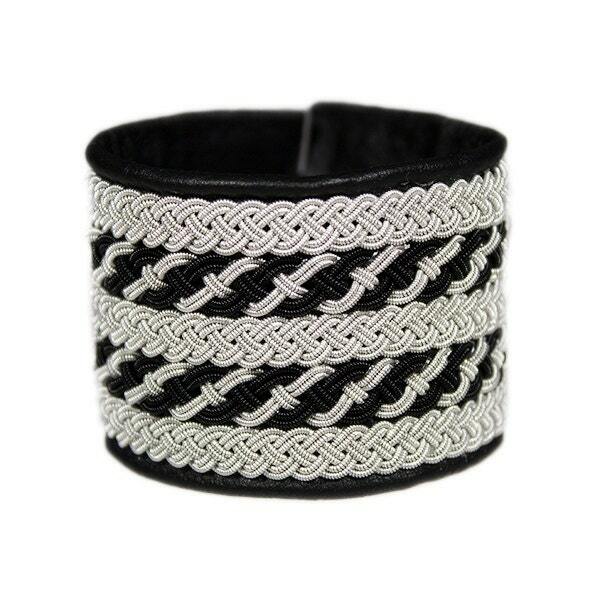 The materials are a specialty product of Lapland in Northern Sweden.